Do you remember the saree of Deepika Padukone in the song 'Batameez Dil' from 'Yeh Jawani Hai Deewani'? The saree was simple and elegant. Don't you think Deepika looked very pretty in it? I simply loved her in that attire. Recently I happened to come across a site which offers a wonderful deal for the saree similar to what Deepika wore in that song. bhaap.com has a current deal for this saree replica at the best possible price! When I first came across bhaap.com, I thought it is yet another deals and discounts website. But it is much more than that! They do better than the usual 10-20% discounts that other Indian online shopping sites offer. They offer great deals all day and every day which are very useful for people like me who do online shopping. 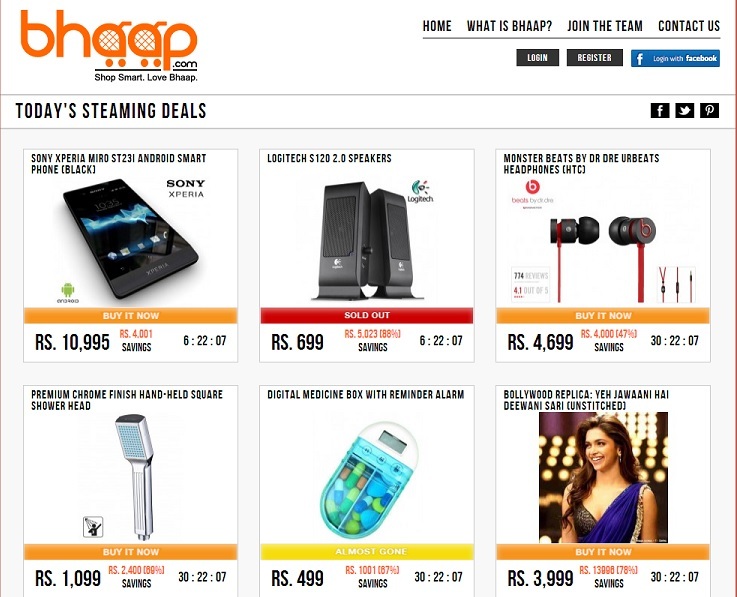 Bhaap.com brings you a new deal every day on big brand mobiles & electronics, designer fashion accessories, cosmetics, jewellery, toys, homewares and much, much more. There are some products which might not be available in your favorite shops and malls. This site brings to you even those products with a price much better than anywhere else. All the deals start at 10 AM and last for 24 hours only. There are limited quantities of each deal, so be quick! I am sure after reading this you would not want to miss out on the various steaming deals available at bhaap.com. 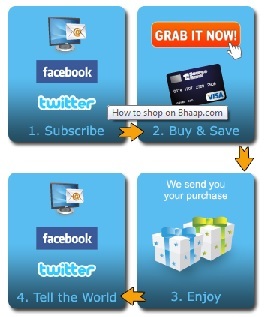 Then sign up to Bhaap's mailing list, like them on Facebook, follow them on Twitter and keep checking every day. Remember, the more people that know about Bhaap.com, the better the deals they can bring you! So spread a word and enjoy more and more deals! Do check Roshini...it has some wonderful deals everyday! Seeing this site for the first time.. so they have new deals every day .. is it ? Will check out if I find something useful for me.